At the end of this summer we got a wood stove for heating the house. It has been a learning adventure. There is a famous permaculture guru Geoff Lawton that says with traditional wood stoves you will always “be a slave to your heating source” He is a firm believer in using rocket mass heaters or masonry heaters. We explored both of these for a while and decided that at this point it was just not safe to have a rocket stove in the house and a masonry stove is just to expensive. So we went with the most efficient stove that we could afford. On our property we have a lot of woods. In fact the majority of it is woods. 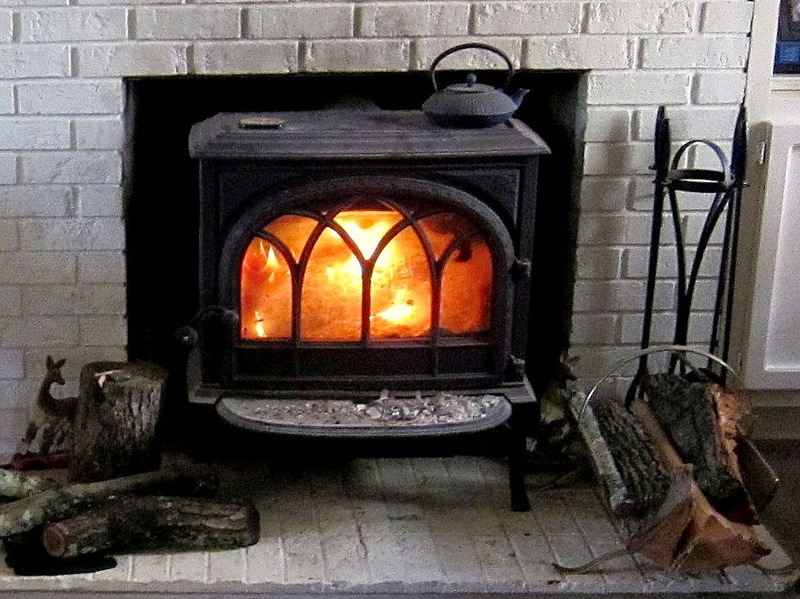 Did you know that if you cut a tree down split it and stick it in the wood stove it will not burn? 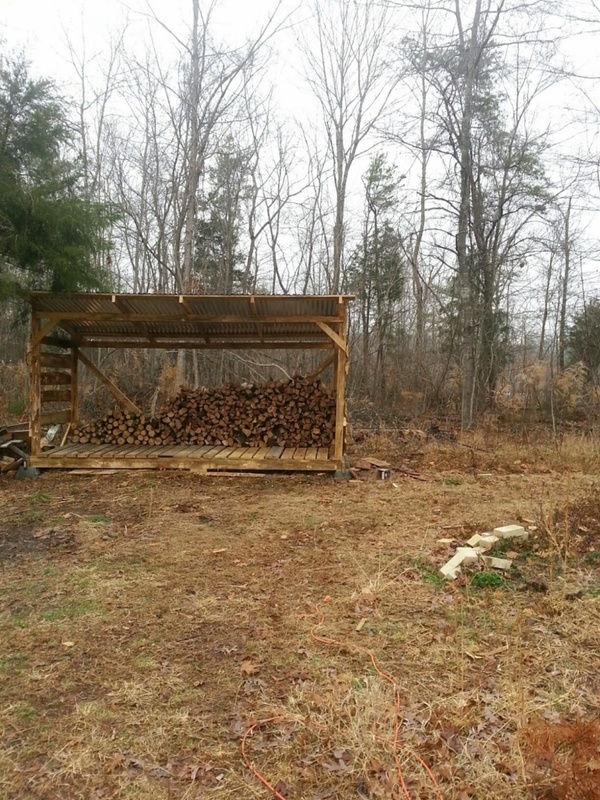 So this year we are not going to be able to use the firewood from our property. 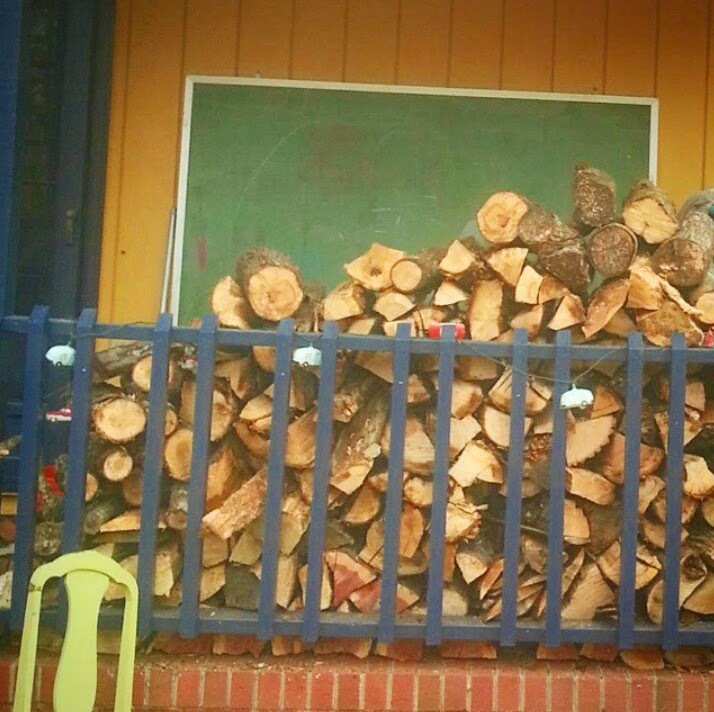 We need wood that is seasoned and dry. It needs to be seasoned for year or more before it can be burned in the wood stove. Anything less just smolders in the stove and does nothing good. I had no idea that this would be a problem, but it is. 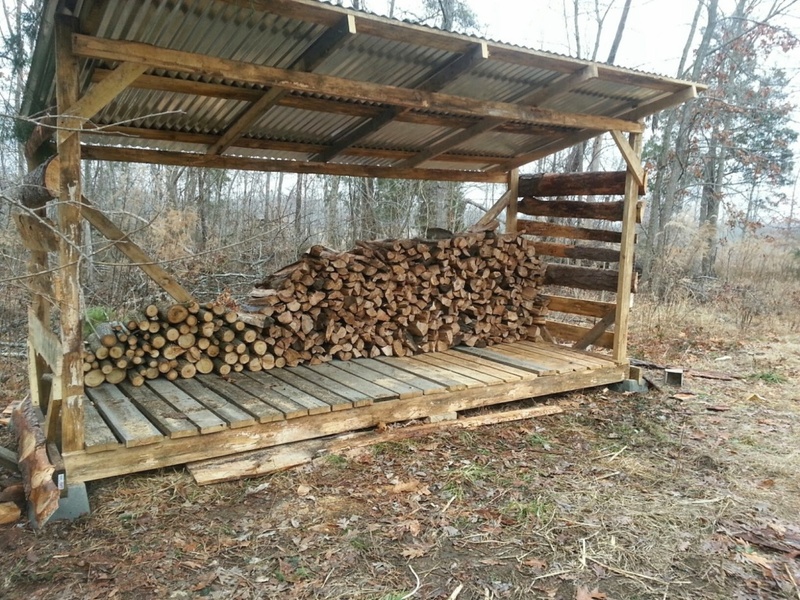 So I built a large wood shed that will hold a little over four cords of wood. So now for the “slavery” part. I will be collecting wood to fill that shed for the rest of the winter. Not only collecting it but splitting it, stacking it, letting it season, then carrying it to the house to burn. The main reason that we leaned towards burning wood, is that it is a renewable resource. With proper management we should always have a power free option for heating the house. If we add this with other sources of heat like passive solar, and a solar water heater, we should be able to drastically diminish our power consumption. While we are speaking of cold. We had also had a new arrival on the farm. We had no idea that Dot the mom was even expecting. Then around 2am on the 14th we heard a goat crying. When i went down to the goat house to see what was going on i found that Polka Rose had been born. She is the sweetest little goat. 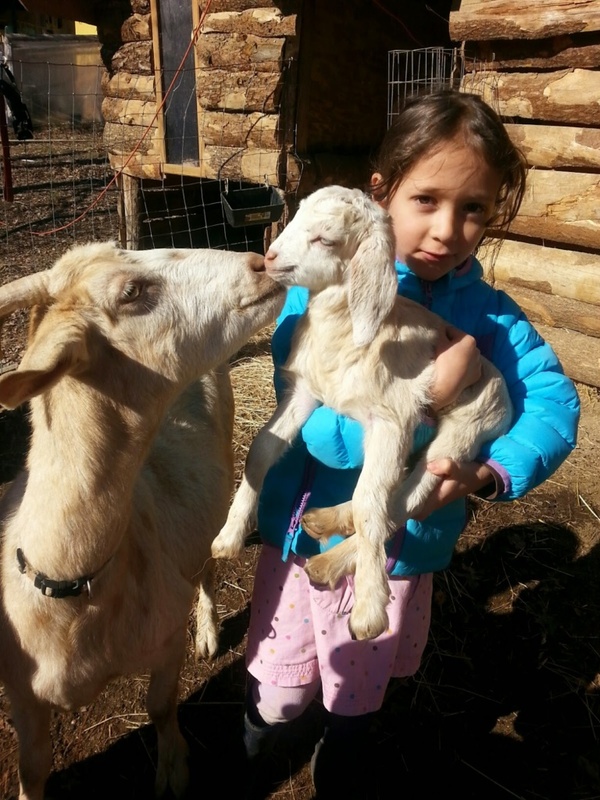 They are Kiko goats that we got from a friend. The mom is really sweet and good natured. Im not sure if it is just a Kiko trait or just her, but either way they are both really sweet.